One of the issues that I was facing is how to connect to my RPi when somehow the wifi router is OFF. 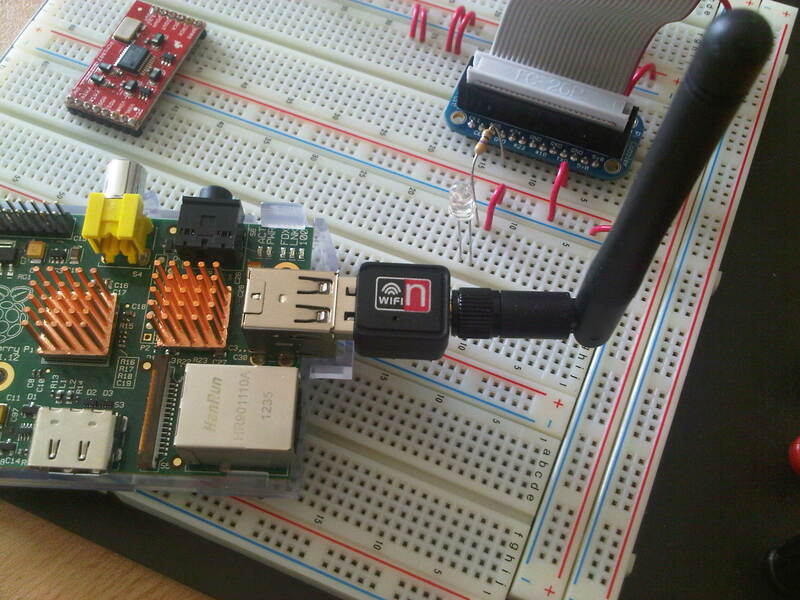 My rpi_bootstrapper.sh script was supposed to setup an ad-hoc network if the pre defined wifi SSID did not conntect. But somehow the ad-hoc network is not what I need, does not work, and I need to connect to my rasperry pi with more than a single device. So I wanted my rpi to become an "host access point" when there is no wifi network. many of the dongles you can find out there have Realtek wifi chip. They work fine unless you have to use hostapd to create your own wifi bubble. Sure, you can recompile the hostapd provided on their website, but if you are lazy like me you just get this dongle on ebay. Just search for "Wifi adapter dongle Ralink RT5370". The key part you want to look for is the wifi chip. The one that works is RALINK RT5370. The model I've found on ebay also have a nice antenna that does help a lot to extend your range. You can put the board quite far away from your router and still get more signal in comparison to the other "compact" dongles. The only disadvantege I've found is that this model does block the second usb port for just few millimeters... Not sure how to solve this but I suspect that just by removing the case you can have the 2nd port back. This is the example to have an open network with SSID="RPi-AP" when you boot the board and there is not wifi bubble around you to connect as a normal wifi device. echo "Creating Local WiFi network"
echo "Local WiFi network (hostap) created"
echo "RPi Network Conf Bootstrapper 0.1"